Create a Facebook account to share your content, post photographs, share links to the blogs or news, and any other exciting materials with your friends, families, and followers. After Facebook sign up, you can also play different games together with your friends and use different apps integrated with Facebook. You can chat live with your friends and families with high-quality audio and video. Facebook account registration also allows to streaming video live, and you can share your real-time moment with your friends and families. Facebook is with no doubt number the one social networking site and continues to increase the number of users. With its exclusivity, Facebook has been a revolution in social networking and has got rapid growth and popularity with more than 2 billion monthly active users, i.e., around 26% of the whole world population. What are the benefits of creating a Facebook account? If you are ready to join the Facebook, then don’t waste any moment to connect with the ever-growing Facebook community. 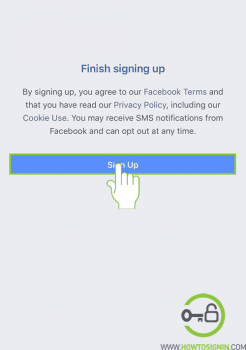 Creating a new Facebook account and accessing all its feature are free of cost, and it only takes a couple of minutes to sign up for a new FB profile. You must have a valid email address or mobile number. Your age should be 13 years or above to create a new Facebook account. Navigate to Facebook.com from the web browser of your PC or Laptop. You need to provide your real first and last name. 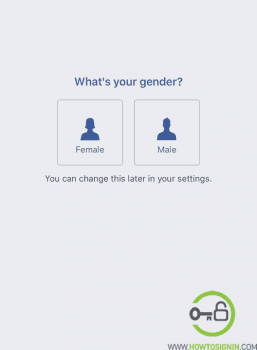 Facebook’s official policy is that you need to provide your real name. Enter your valid email address. 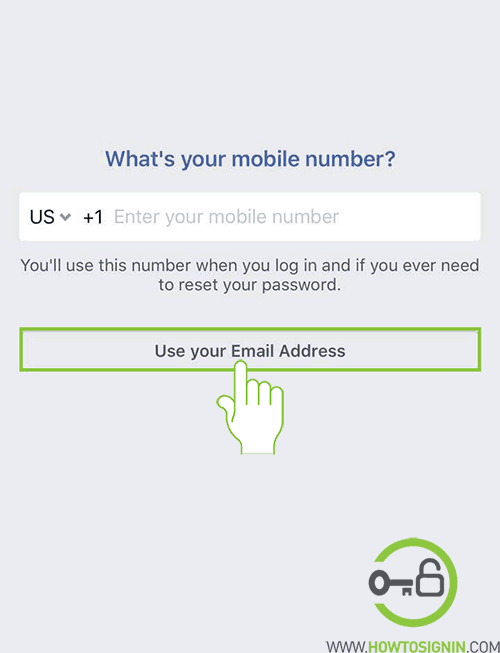 You can also create your Facebook account using your mobile number. 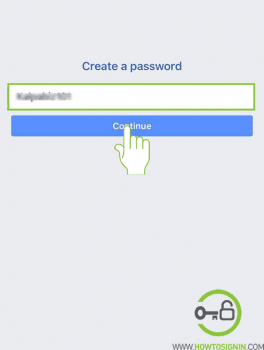 Create the password for your new Facebook account. Try to create a secure password mixing different case letters, numbers and special characters. Use of name, contact numbers, dictionary words as your password is not a safe habit. Select your birthday information. 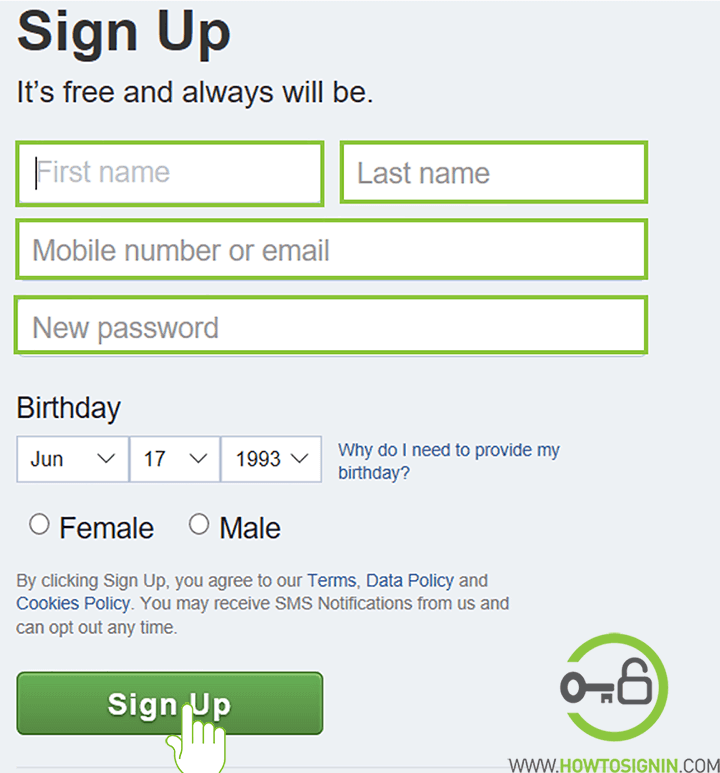 Your date of birth is useful to make sure you are of legal age to use the service. It will also be used to serve you advertisements. Click ‘Sign Up’. Next step is to confirm your mobile number or email address. Check your inbox and enter the code sent to you to verify your email or mobile number is genuine. Finally, your new Facebook account is ready, now update your profile picture and cover picture. Start adding friends, post and share different stuff, chat with your friends and families, like and comment on your friends’ post and many others. 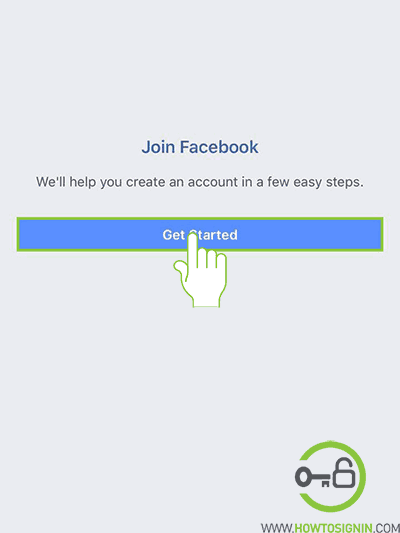 You can open a new Facebook account using a mobile browser or Facebook app. Creating a new profile from the app and browser is almost identical. 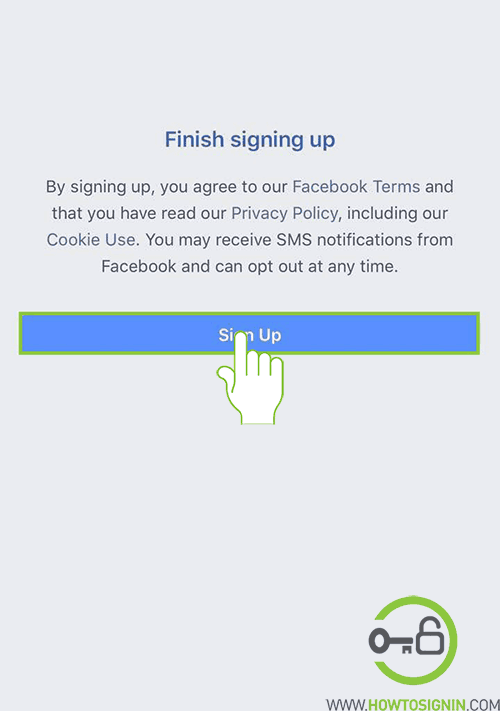 Open the Facebook app from the menu and tap ‘Sign Up for Facebook.’ Or open Chrome, Firefox, Safari, etc. browser on your phone > Go to facebook.com > Tap Create New Account. 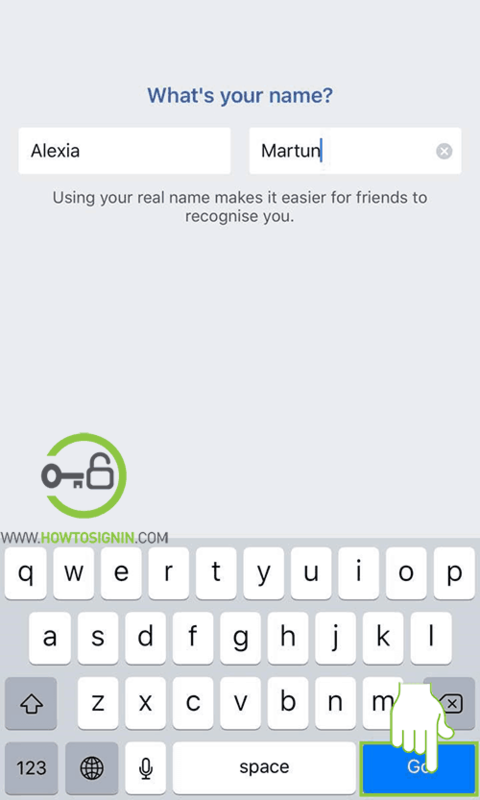 It’ll ask ‘what’s your name?’ Provide your real first and last name and tap Next. Using your real name makes it easier for friends to recognize you. 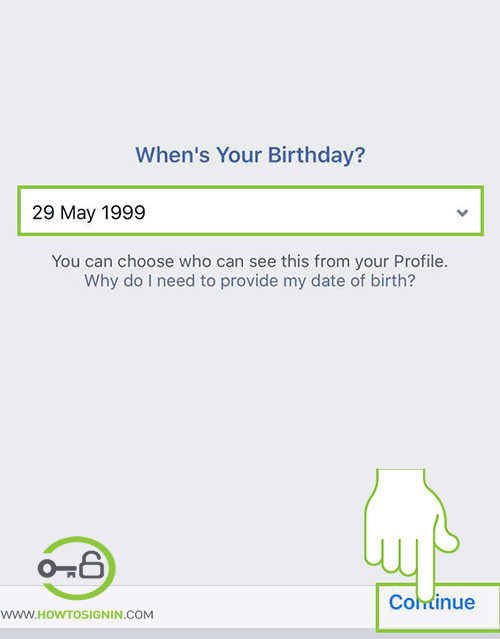 Select your date of birth from the drop-down menu. Don’t worry about your birthdate being public. You can make it private later. Choose your gender. Facebook only allows choosing either male or female. It will ask you to enter your phone number. Provide your mobile number. Don’t want to provide your phone number? 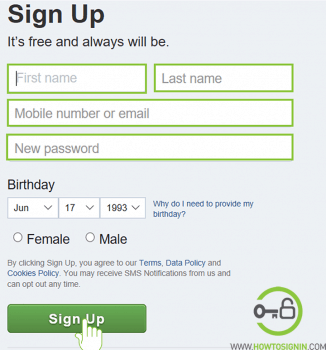 You can register with an email account. Select the option ‘Sign up with email,’ and provide your email address. Enter your primary email as you will be getting a notification on it if there is any activity in your account. It can also be helpful in future if you forget your password. 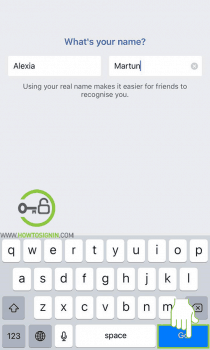 Create a new password for Facebook. Don’t use the same password for all of your accounts. Use a unique password for Facebook, and make it harder for others to guess. Tap Sign Up to complete the process. You’ll receive the 5-digit code in your email. Enter your code and select confirm. If you don’t get the code, check your spam and the social folder of the email account. 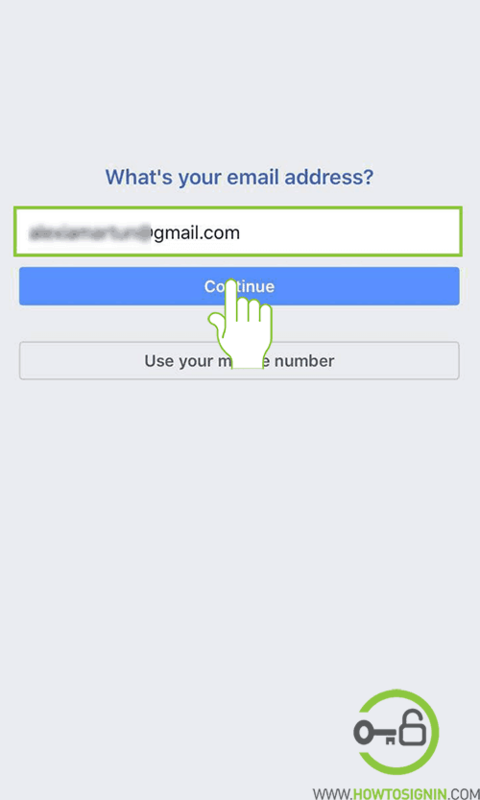 You can also verify using another email or phone number by tapping on another option on the page. Congratulations, you are now the owner of your brand new Facebook account. Qns: Can I have two Facebook accounts with different emails? Ans: Technically you can have multiple accounts with multiple emails. But Facebook’s official policy is that you can only create one account with your real name. But if you want to represent business, brand, product, organization, etc. then you can create a new Facebook page for each purpose. 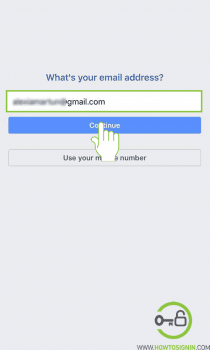 Qns: What email address can I use to create a new Facebook account? Ans: You can use any email of your choice. You can make a new account with Gmail, Hotmail, Outlook Mail, Yahoo Mail or any other email service where you can receive an email. When you create a new account, you have to set it up correctly. The first set up page will ask ‘Are your friends already on Facebook?’ In this step, you can search all of your friends in the contact list of your email address. When you reach homepage, you can customize different settings and add details to your new account. Click on your name in the menu bar. You’ll reach into profile edit page. Click on Add photo to upload your profile picture. Upload a good photo of yours. There is a Camera sign just above the profile picture. Click on it to select a cover picture for Facebook. Select ‘About’ option from the profile edit page. You can now add work and education, places you’ve lived, contact and basic info, family and relationships, details about you, and life events. Select Find Friends on the top menu to search friends on Facebook. You can also directly search the name on the search bar and send a friend request. Send friend request to the people you know. If you send a friend request to too many unknown people, Facebook may ban you. Open drop down menu on the top right corner and select Settings to optimize different Facebook setting. Facebook allows you to organize a list of you families and friends which makes easier to tailored who can or who cannot see your particular content on their newsfeed or anywhere on the Facebook. In FB you can maintain photo albums or share single photos and share with your Facebook friends and families. Interactive chat and comment features are one of the interesting aspects of Facebook. With this, you don’t even need text to interact with your friends, but you can use different emojis, stickers, gif, and customized text to share your message. It is the best platform for Digital Marketing or Social Media Marketing. Facebook allows you to create Fan page, Business page and also Group pages to bring your fans together in a single interactive page. You can share your real-time moment using Facebook live streaming. You can make your website Facebook integrated using Facebook Connect which will allow your website users to log in to your site with a universal login authentication service.